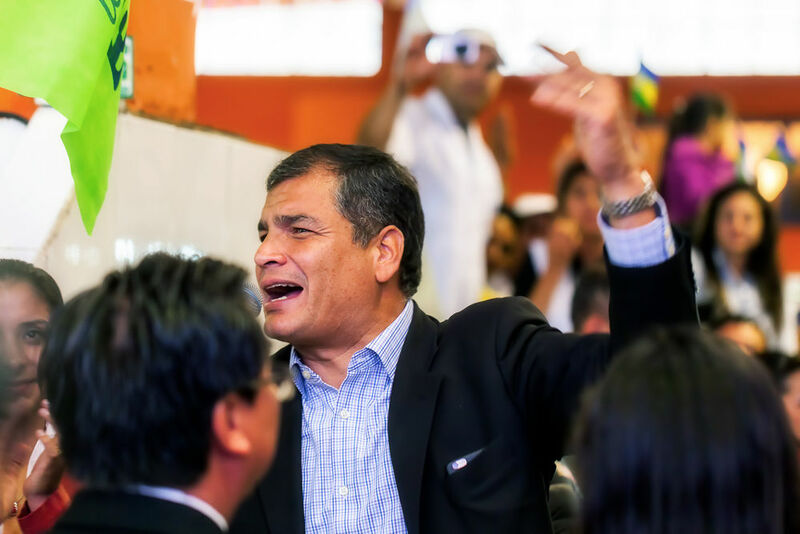 Ecuadorian President Rafael Correa insists that “Spain and Ecuador are showing the world how to treat foreigners” and predicts that leftwing politics will soon “sweep across the continent” of South America, in an exclusive interview with EURACTIV Spain. Rafael Correa has been president of Ecuador since 2007, serving three consecutive terms. Correa spoke to EFE’s José Manuel Sanz Mingote during the last leg of his farewell tour of Europe. During his last day in Spain, President Correa was received by King Felipe VI and by the head of the Spanish government, Mariano Rajoy, who he greeted like friends and thanked for Spain’s role in the migrant crisis of 1999. More than 300,000 Ecuadorians live in Spain and “the vast majority want to stay here”, Correa said after meeting with thousands of his compatriots that reside in Barcelona, Valencia, Murcia and Madrid. “The turnout has been impressive. In this sense, this has been my most successful trip of the last decade,” the president said, adding that “our community is the second most important in Spain and, except for isolated incidences of violence or labour abuse, the general rule has been almost total integration”. The head of state and government explained that “it’s the same story in Ecuador. We host the most refugees of anyone in Latin America, due to the Colombian conflict, and we are an example to the rest of the world”. 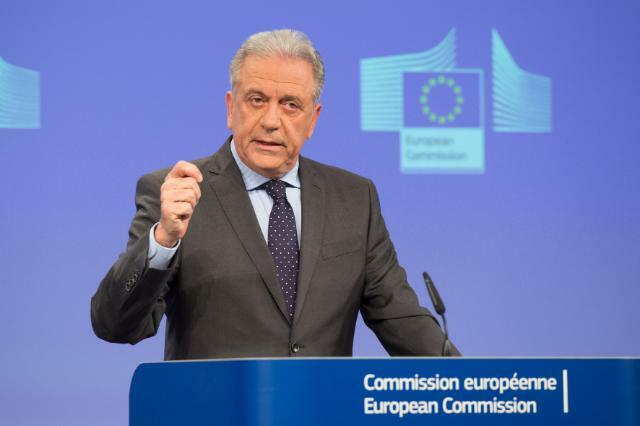 EU Migration Commissioner Dimitris Avramopoulos is considering calling the US government to find out how EU citizens will be affected by US President Donald Trump’s travel ban on people from seven Muslim-majority countries. 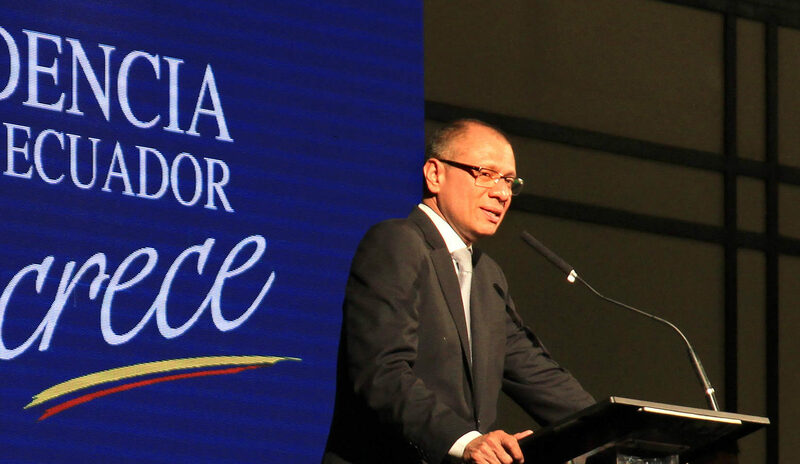 “While elsewhere refugees are stuck in shelters and isolated from society, in Ecuador they are perfectly integrated and have access to all the rights that are afforded,” Correa added, citing a newly adopted law that guarantees foreigners these very rights. But Correa was disappointed by his Latin American counterparts’ lukewarm reaction to migration measures recently implemented by new US President Donald Trump. “At the CELAC summit, we needed a stronger reaction,” he said, referring to the Community of Latin American and Caribbean States meeting that was held last week, with notable absences, in the Dominican Republic. However, Correa remained confident that with time Latin America would be more “radical” in defending its interests, particularly when it comes to migration. 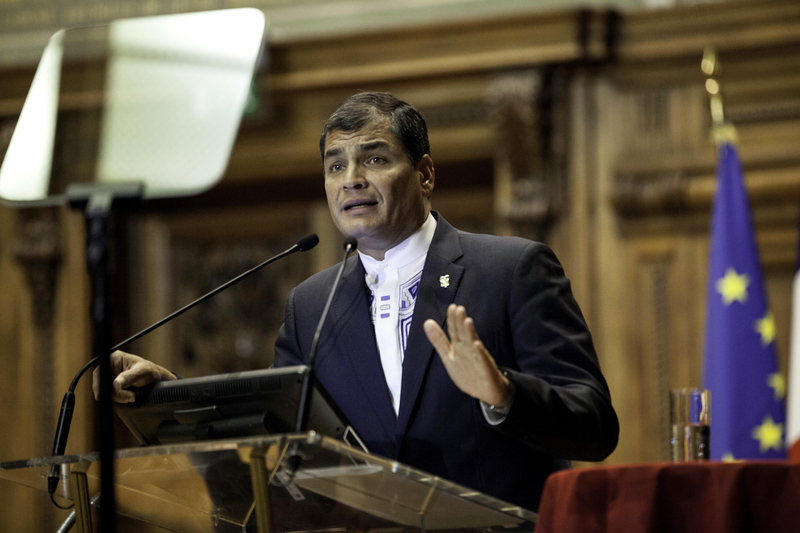 Ecuadorian President Rafael Correa said at a climate change event in Bolivia on Monday (12 October) that the world’s peoples must unite to confront “the powerful” nations he said were responsible for environmental damage and global warming. The Ecuadorian head of state, who will leave office in May after a decade in the job, advised his eventual successor to “keep betting on what is most important: human talent”. He acknowledged that during a decade of holding the highest political office in the land that he might have made mistakes but insisted that “the fundamental decisions were the correct ones”. Instead, investors “go where the rules of the game are clear, like in Ecuador. Where there is honest government, like in Ecuador. Where projects are profitable, like in Ecuador”, he added. The outgoing president also stated that he believes in trade but not in foolish openness, explaining that advocates of free trade “torture historical data in order to show that it has been the vector for development, yet there is no greater lie”. “All developed countries, with a few exceptions, some smaller nations like the Netherlands or Switzerland, developed with a degree of suitable protectionism, developing first their national capacities, starting with the US, which, by the way, created modern protectionism, Correa explained. “Obviously, when a country is a champion of competitiveness, the best strategy is to tell the rest to compete, because that country is going to win. But we have to do what they did when they were developing, not what they do now that they are top of the pile,” he continued. Asked for his assessment on the leftwing of Latin American politics, Correa, who heads the leftwing PAIS Alliance, acknowledged that “these are difficult times, but not terrible”. “There may be setbacks but I am convinced that our people will never let the past return and things return to how they once were,” he said. He concluded that the current changing trend has much to do with the economic situation but he predicted that “if elections were held tomorrow (in Ecuador), then we would win in a single round of voting”. He expressed his hope that that could happen soon in other countries, adding that “maybe sooner rather than later, the left will sweep across the continent”.